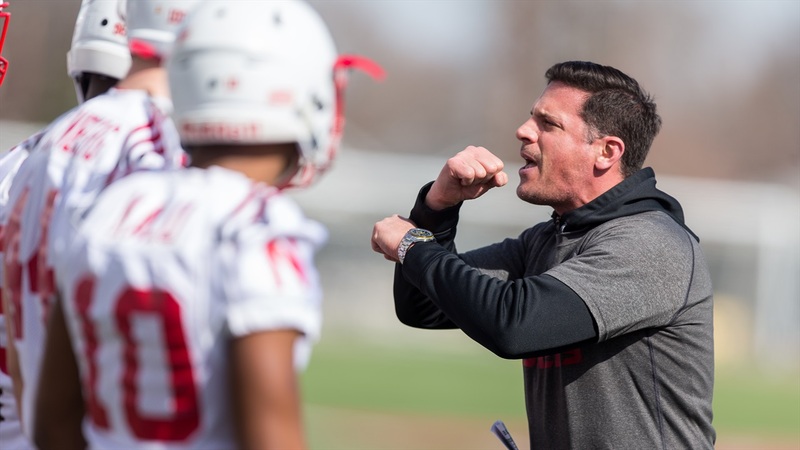 For Nebraska defensive coordinator Bob Diaco, there’s no substitute for the real thing. Cornerback is one of the biggest question marks on the team following Chris Jones’ injury, and Diaco said there won’t be any answers until the bullets start to fly. One player who could factor into that conversation is redshirt freshman Tony Butler, although where exactly is still to be determined. >> The Huskers let loose a little bit with an 86-play scrimmage during Saturday’s practice, and while he was pleased with the effort and progress the team showed, Diaco said they still have only just begun. >> Nebraska still has a lot of positions in the two-deep to sort out at this stage of camp, but Diaco said plenty of guys will have a chance to see the field this year. >> The defensive staff has a youthful vibe to it with the likes of Trent Bray, Donte Williams and Scott Booker out on the field during practice, but Diaco said the staff has done a good job of combining both energy and experience. >> Outside linebacker Luke Gifford said Diaco’s teaching method has allowed the players to grasp the new defense fairly well in a short amount of time. “I think one of the big reasons is the way Coach Diaco teaches the defense and kind of compartmentalizes things together and things carry over from coverage to coverage and blitz package to blitz package,” Gifford said. “It makes it easy, once you get one thing down you can kind of start picking up the rest of it too. There are a lot of similarities in what we do, different packages and stuff like that, so I think that’s helped a lot. >> One player chomping at the bit to get on the field is redshirt sophomore inside linebacker Mohamed Barry. So what you're saying is that it would be a good idea to rotate offensive line players into a game?